Opening Reception: Thursday, November 8 from 5:30 p.m. until 7:30 p.m.
Ronin Gallery and Sato Sakura Gallery will transcend time and medium in the collaborative exhibition Sakura: An Enduring Tradition. 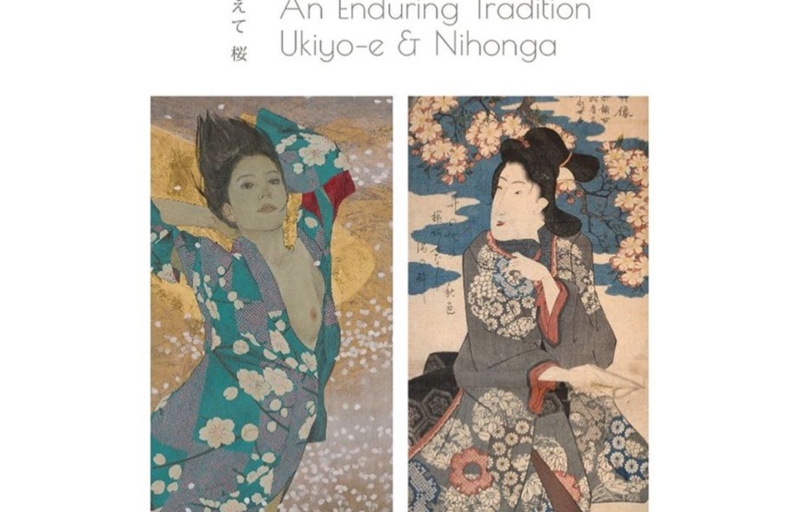 Ronin Gallery will present a collection of 18th to 19th century Japanese woodblock prints that depict cherry blossoms, while Sato Sakura will evoke the blooms of our modern world through contemporary Nihonga paintings. With each gallery a leader in their respective field, this exhibition provides a rare opportunity to explore such important works side-by-side. The family owned and operated Ronin Gallery is a leading Japanese and East Asian art gallery in New York City, home to the largest collection of 17th through 21st century Japanese prints for sale in the United States. For 40 years the gallery has introduced the best of Japan and East Asia’s traditional and emerging artistic talents to a global clientele. From the Sato Sakura Art Museum’s founding in Koriyama City, Fukushima Prefecture, in 2006, to its expansion to Tokyo in 2012, and most recently, the New York gallery in 2017, Sato Sakura strives to create an international appreciation for the allure and diversity of contemporary Nihonga, or “Japanese-style” painting. For more information, please visit the event’s Facebook page.